Posted on October 5, 2014, 1:41 pm, by Thomas Hawk, under Drobo, Storage, Western Digital. For the past month or so I’ve been testing out one of the 8TB Western Digital My Book Thunderbolt Duos and I have to say I dig it. Before trying this out, my entire storage setup was built around Drobos. I’ve got 2 Drobo 5Ds with 15TB each in them and a Drobo Mini . I was interested to see what the performance would be like with Western Digital’s large storage solution and I have to say I’m a fan. 1. It’s quiet. So quiet. 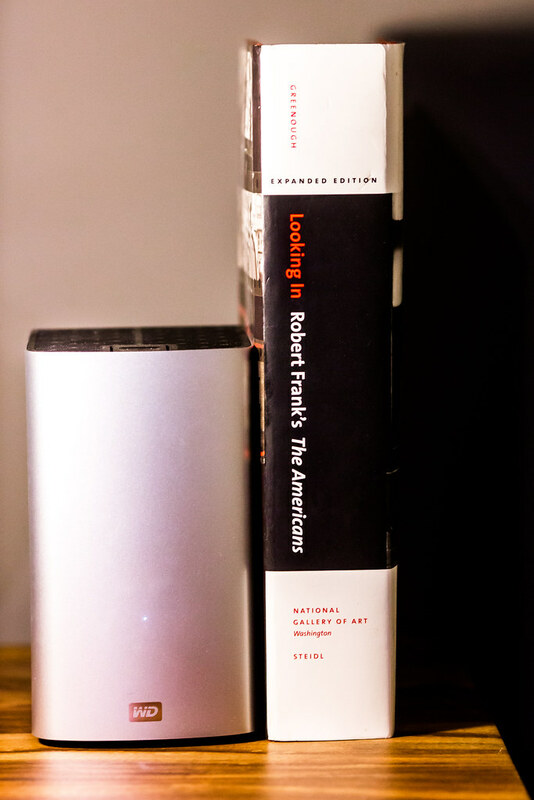 My Drobos are not bad, but the Western Digital My Book Thunderbolt Duo is even quieter. You don’t even know it’s on or there, except for the tiny little pinhole light that is on in the front, and of course you see it on your Mac. For some reason one of my Drobo 5Ds feels like it almost goes to sleep sometimes. When I try to access it in the finder I have to wait a few seconds and I hear it powering up a bit. This doesn’t happen with the My Book Thunderbolt Duo. 2. Thunderbolt is sooooo fast. Whoever invented Thunderbolt should get a Nobel prize for speed. 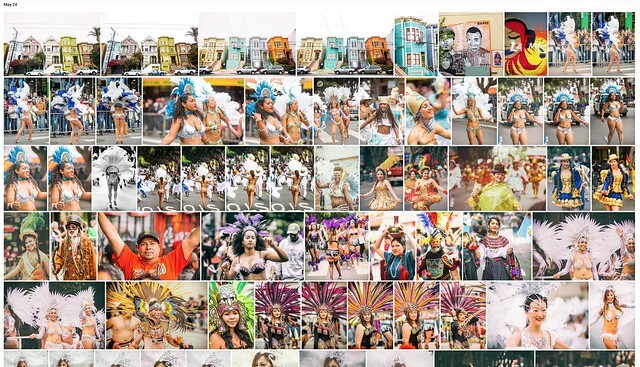 I can’t believe how quickly I can copy hundreds of gigabytes of photos around. 3. The Duo is a bit cheaper than the Drobo for those who may be on more of a budget and need less storage. To get 4TB of replicated storage on a Drobo 5D I’d have to buy about 6TB worth of drives. This would cost me about $800. You can buy an 8TB My Book Thunderbolt Duo for about $650 or so. You can mirror the drives so that you get two copies of everything or about 4TB of replicated storage. Because the Western Digital My Book Thunderbolt Duo doesn’t rely on a proprietary format for replication, if one drive fails, you would always have a perfect backup copy on the other. I haven’t had a problem with Drobo’s proprietary format before, but it’s something that some folks have criticized in the past. 4. Primary data is automatically backed up. I can’t use a backup strategy that requires my manual contribution. 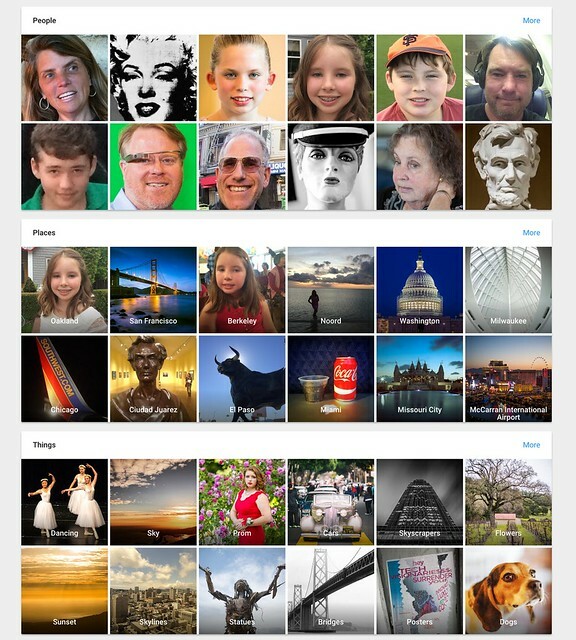 With both the Drobos and the My Book Thunderbolt Duo your primary versions of photos are more secure. 5. The Western Digital My Book Thunderbolt Duo is smaller than the Drobo 5D and much lighter. Setting up the My Book Thunderbolt Duo was easy. It’s just plug and play. Similar to my Drobos. I know a lot of people will probably comment on this post about how they are doing things even cheaper by building their own solution with their own replicated in home RAID servers, etc. That’s just great, but I’m not a very technical guy when it comes to computer hardware and I’d wayyyyy rather pay a little bit more and have a Thunderbolt solution that is just plug and play, without me having to do any work, or do any coding, or manually buying and installing drives into a server body and all that. Different strokes for different folks though and each person should do whatever works best for them. 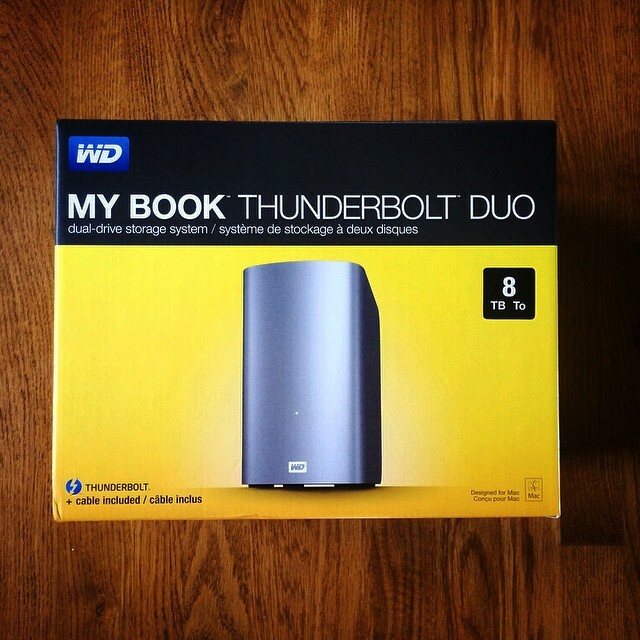 There is also a 4TB and 6TB version of the My Book Thunderbolt Duo. You can learn more about them including all of the technical specs on Western Digital’s site here. A HUGE disclaimer on any device like the Drobo or My Book Thunderbolt Duo. These solutions may protect you against hard drive failure, but they will not protect you against fire, theft, etc. For that reason you may also want to incorporate both offsite and/or cloud storage to whatever your backup strategy may be. I see replicated hard drives really only as a first line of defense. In my own case I also purchased a large fireproof gun safe and when I’m out of the house or on a trip or something I usually lock my drives up in there. I also have off site backup storage for my images and I’m actually working on a plan this year to begin moving my offsite storage into a bank security deposit vault. The book next to the My Book Thunderbolt Duo by the way to compare size is the excellent expanded edition version of Robert Frank’s The Americans which was reissued a few years back and is *highly* recommended. One of the best photography books ever published. It’s one I go back to and revisit over and over again. Posted on February 1, 2011, 9:27 am, by Thomas Hawk, under Storage. More details from Stephen Shankland here. I’ll probably sign up with backblaze later on today. Apparently they are offering a 10% discount if you use the discount code “byemozy”.